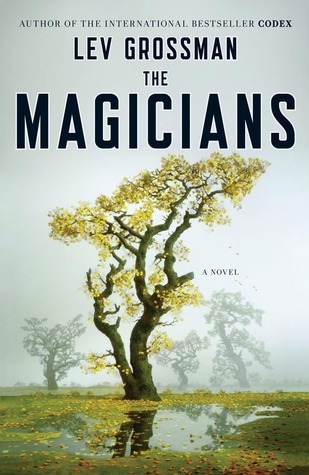 The Magicians could be described as "Harry Potter for adults". It certainly has a few similarities: a male central character, who does not realise he has magical powers; a mysterious boarding school/college... But that's about where the similarities end. I would certainly state that Lev Grossman's novel is aimed at a mature audience. With scenes involving recreational drugs, the discovery of sexual pleasure and some truly horrifying deaths, it perhaps ought to have an age restrictive rating! Quentin Coldwater is the central character in The Magicians: a disillusioned young man obsessed with his childhood interest in the magical stories of Fillory. When a manuscript for a yet-unpublished edition by his favourite author appears after an unusual college interview, he finds himself drawn into a world of mystery when he is offered a residential placement at Brakebills, surrounded by the best and brightest of New York, with a vigorous timetable of magical instruction. His education at Brakebills takes up at least the first half of the novel, which was surprising as I'd thought this part of Quentin's life would take up more than a single installment of the series. It seems Grossman's intent was for the "real magic" to begin following Quentin's graduation, once his rigorous instruction had prepared him (and his friends) for the realisation that Fillory was, in fact, a real place. Several reviews on Goodreads have criticised the characterisation of Quentin due to his lack of enjoyment and cloudy outlook on life. Although this did bother me at times, I was under the impression that this was due to Quentin's unavoidable depression, an exploration of the impact that "the black dog" can have on a person's outlook on life. I love that the magic in The Magicians was similar to that of Jonathan Strange and Mr. Norrell: dark, ancient magic which had an impact on the physical and mental well-being of the spell-caster. Gritty rather than glamorous, and visceral, which for me made those elements of the plot more believable. I already have the second Magicians installment, The Magician King ready to read. While I did find the first novel enjoyable and entertaining, I may wait a little while to follow Quentin's story. Just so I might have a little rest from the stark, gloomy world inhabited by Quentin and his friends.